Yesterday I spent the day with some dear friends of mine. 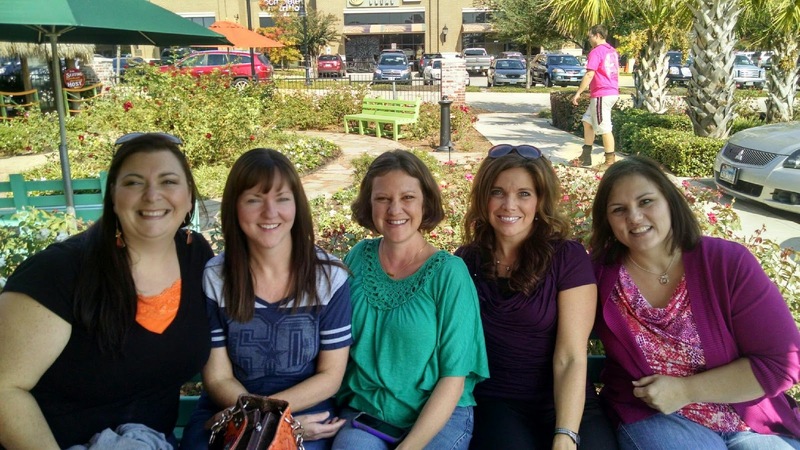 We had a great time eating, shopping, laughing and visiting! As we were visiting, I asked each of my friends to share a simple health tip for this week's "Press On Wednesday". I hope these tips inspire you as they do me! Remember, a journey begins with a single step. Charity- Walk at least 20 minutes daily and simply eat less. Delanie- Drink half your body weight in ounces of water a day; Add lemon for a gentle daily detox. Kelly- Whenever you go shopping or running errands, always park as far as you can away from the store for extra exercise.